In a large pot, add olive oil over medium heat. Add turkey and brown turkey, breaking it up as it cooks. Cook for 5-6 minutes until turkey is cooked through. Add curry paste to the turkey and stir it in. Cook for a minute, then add the chicken stock along with chopped sweet potato and peppers. 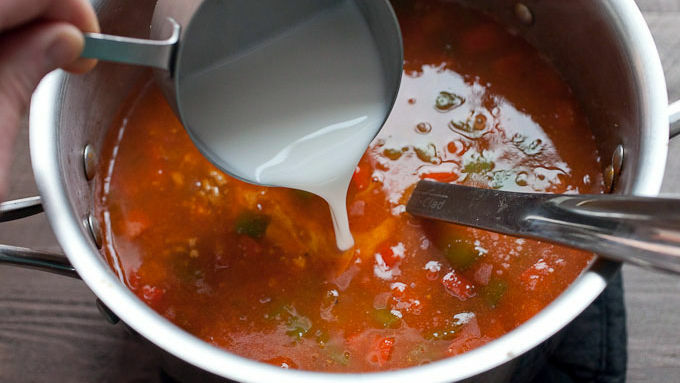 Add diced tomatoes, cover, and bring chili to a simmer. 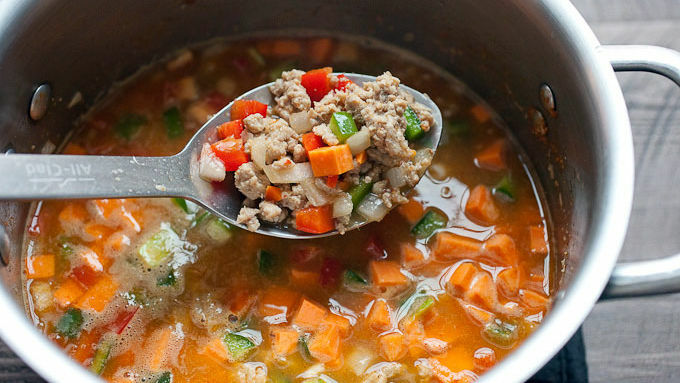 Simmer for 8-10 minutes until sweet potatoes are soft. Stir in coconut milk and season chili with salt and pepper. 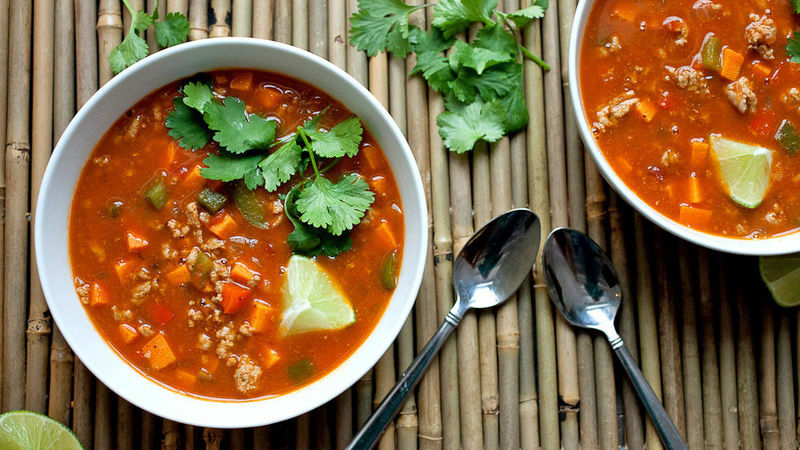 Serve finished chili with fresh cilantro and lime wedges. Red curry paste can have varying levels of spiciness. 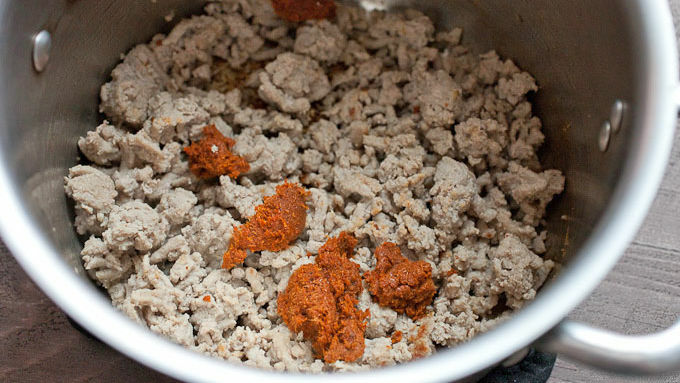 If you are worried about it being too spicy, start by adding one teaspoon of your favorite brand and add more until it gets to the spicy level you like. A simple and easy weeknight chili recipe with a spicy Asian twist! I’ll be honest: I’ve never found turkey to be a super-flavorful base for recipes. It’s just kind of bland! But it is easy to cook and relatively healthy. To counter the blandness, I like to use it in recipes like this Thai chili recipe, which has a spicy Asian kick. The only prep this recipe really requires is some peeling and chopping of the sweet potato and peppers. Luckily, you can do that while your turkey is cooking! 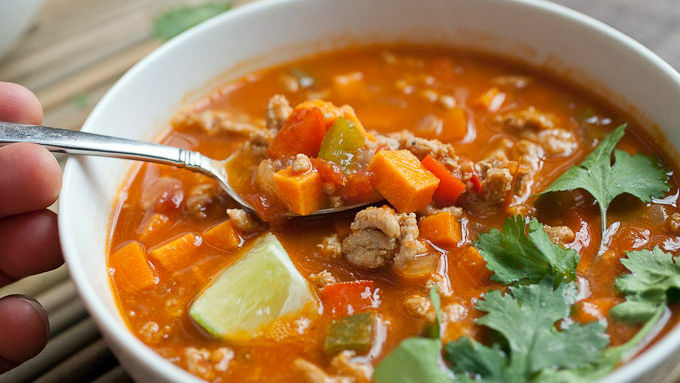 Serve the chili with a big handful of fresh cilantro and a few lime wedges, and enjoy!